Florida Canyon, A not so secret hotspot! Lying just a few miles north of the entrance to Madera Canyon, is Florida Canyon. Certainly less recognized, at least internationally, this wonderful birding hotspot deserves every bit the same acclaim. Pronounced locally as “Floor-ee-dah” this area shares many of the same attributes as Madera, with a lower elevation of grasslands mingling into a dense riparian area as you climb in elevation. Here is a nice view looking back towards the Northwest, and the town of Green Valley. The trailhead parking lot has a base elevation of 4340 Feet, and will climb an additional 3500 feet should you feel the need to hike al the way to the top. The top is about 4.5 miles but I rarely feel the need to go more than a mile, or mile and half. As you start up the gradual climb, it becomes a wonderful mix of oak, pine, juniper and sycamore trees all lining a year round stream, slowing gaining altitude. 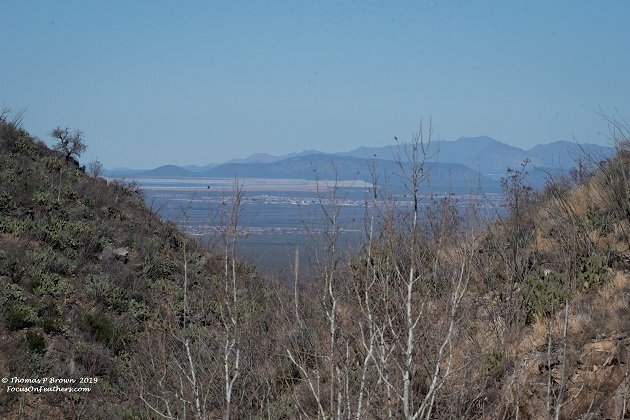 Occasional spots of dense willows add additional cover for some species, while just a few yards away, you can find open, grassy areas, as well as patches of Ocotillo, and Prickly Pear Cactus. This wonderful diversity makes for a relatively small area that packs in an equally diverse number of birds. This area boasts a “life” list of species of 224, so I have quite a ways to go, with my paltry 47 species in 6 visits. Much like Madera Canyon, this area has its premier species, in the form of a very small group of Rufous-capped Warblers. 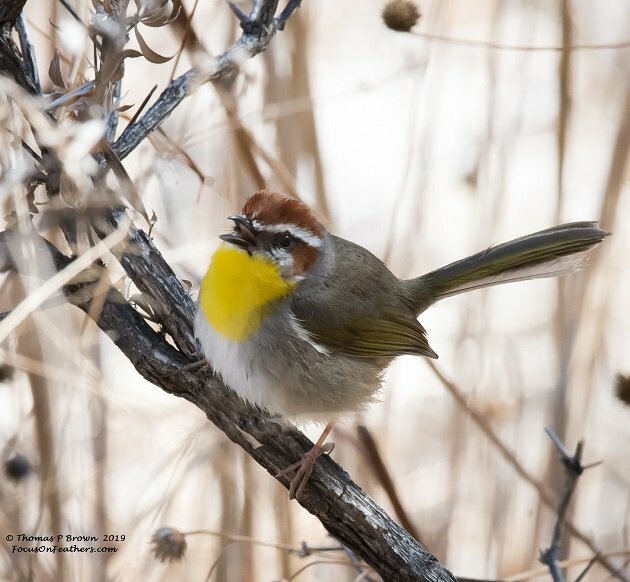 This quite rare warbler, mostly found in Mexico, is at home in the slightly higher elevations, working the grassy edges of the oak trees, acting much more like a sparrow or wren than a traditional warbler. I obviously do not have a positive number of these birds in the canyon, but have seen three separate birds on one day. 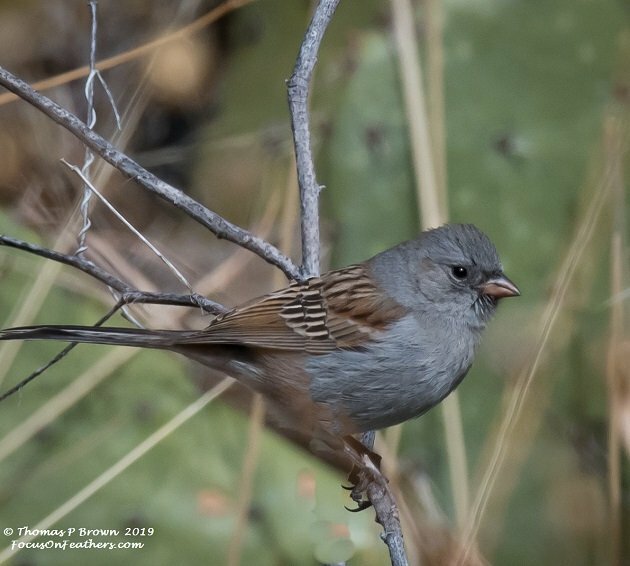 Local guides that I have spoken to all say that is the highest number they have ever seen as well, with the thought being that one is a breeding pair and the single, usually found farther down the canyon, is last year’s fledged bird. This is a pretty good look at the elusive Rufous-capped Warbler. 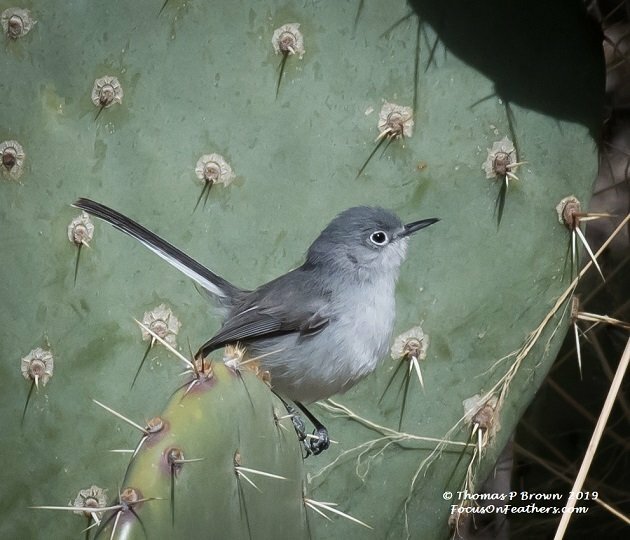 Another unusual bird found consistently in the lower cactus covered hillsides, is the Black-caped Gnatcatcher, now believed by many to be establishing a breeding population. 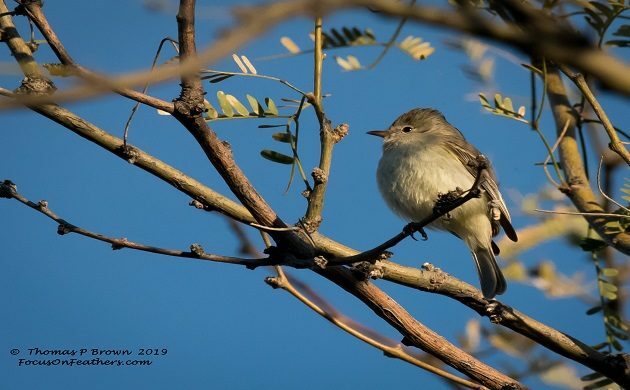 Usually seen in Mexico, this hyperactive little gnatcatcher can be found around the metal gate just before the “Y” in the trail that goes to the south west. Here is a female Black-capped Gnatcatcher. A few of the additional highlights of this area for me have been Crissal’s and Curve-billed Thrasher, Spotted, Green-tailed, and Canyon Towhees, White-throated, Fox, Chipping, Rufous-winged, Rufous-crowned, Black-throated, Black-chinned, Lincoln’s, and Gold-crowned Sparrows, Canyon, Bewick’s, Rock and Winter Wrens, Pyrruloxia, Northern Cardinals, Varied Thrush, Black-throated Gray Warblers, and Northern Beardless Tryannulets, as well as Hutton’s Vireos. 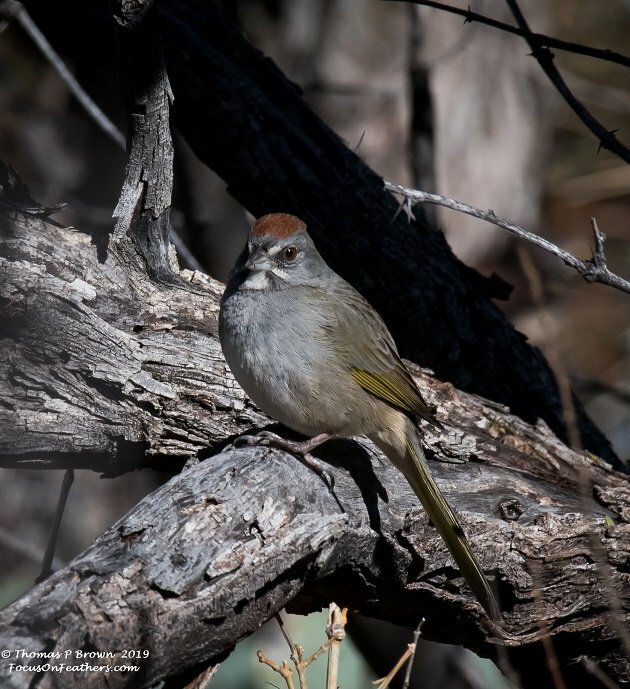 Here is one of those highlights, a Green-tailed Towhee. 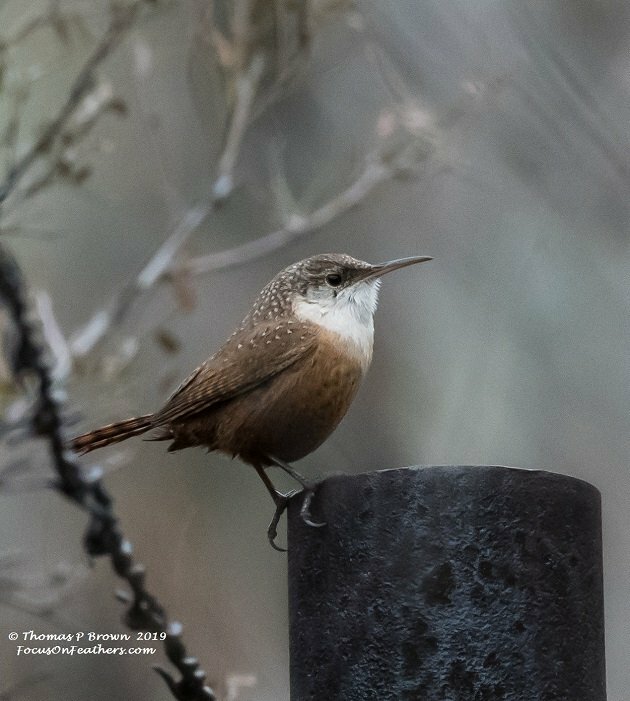 While rather common, this Canyon Wren rarely poses for a picture quite this nice! 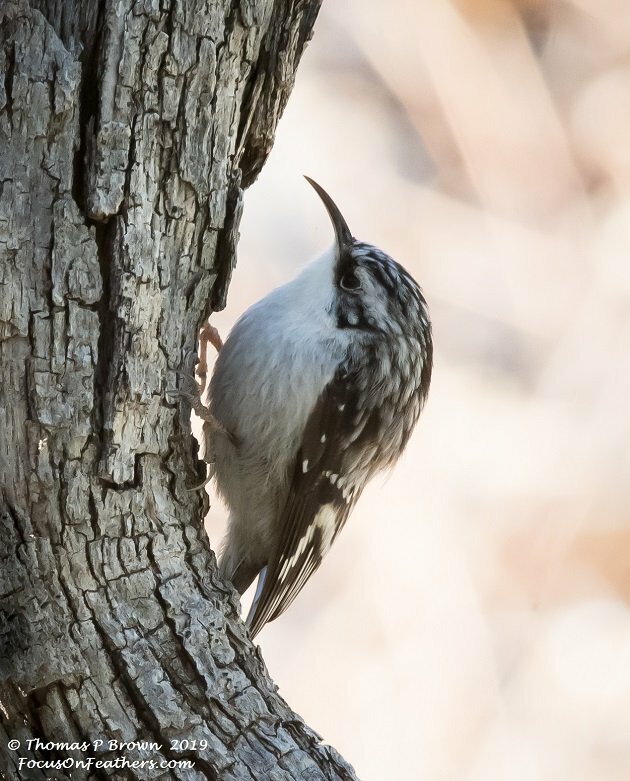 Another fun bird that makes an occasional appearance it the Brown Creeper. 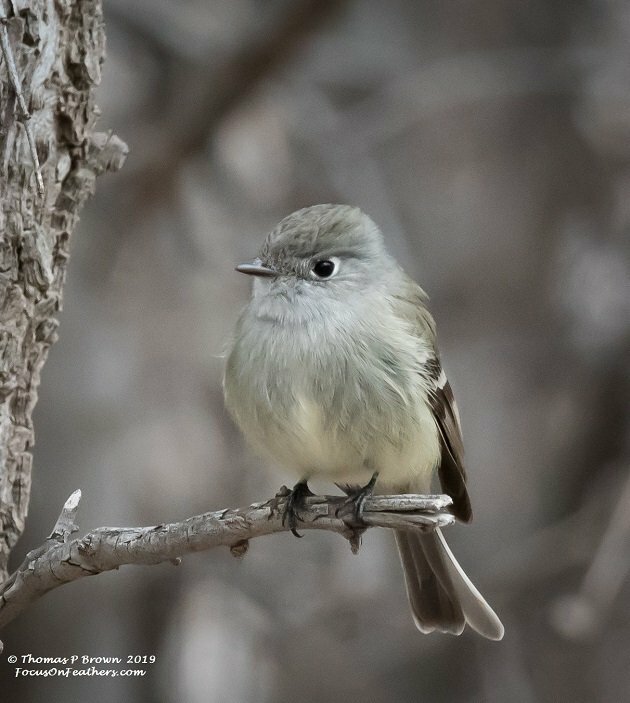 It is always fun to see the Hammond’s Flycatcher. This higher elevation bird is the Black-chinned Sparrow. Soon, many of these birds will be gone, headed north with the spring migration, but I am very excited to see who comes along to replace them, in what is becoming one of my all time favorites birding locations, Florida Canyon. Gorgeous pics as always. I have go to get back to Arizona one of these days! Thanks Mike, Love to have you out for a some of this incredible birding! Where Are You Birding this First Weekend of April 2013?